LONDON, UK, October 26, 2011 (ENS) – In five days, there will be an unprecedented seven billion people on Earth, the United Nations projects in a new State of World Population 2011 report released today in London and in more than 100 other cities throughout the world. “From the Arab Spring to the sit-ins on Wall Street, the people are demanding change. They are young, part of the largest youth generation our world has ever known, and they are determined,” he advised. 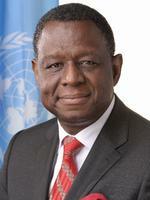 “With planning and the right investments in people now – to empower them to make choices that are not only good for themselves, but also for our global commons – our world of seven billion can have thriving sustainable cities, productive labor forces that fuel economies, and youth populations that contribute to the well-being of their societies,” Dr. Osotimehin wrote in his Foreword to the report. The State of World Population 2011 is a report from the field, where demographers, policy makers, governments, civil society and individuals are dealing with population trends from ageing to rapidly rising numbers of young people, from high population growth rates to shrinking populations, and from high rates of urbanization to rising international migration. The report illustrates these issues through personal stories from residents of China, Egypt, Ethiopia, Finland, India, Mexico, Mozambique, Nigeria and the former Yugoslav Republic of Macedonia. The record population size can be viewed as a success for humanity because it means that people are living longer and more children are surviving into adulthood, the report emphasizes. But it illuminates the disparities that exist among and within countries, between men and women, girls and boys. The UN recognizes that charting a path now to development that promotes equality, rather than reinforcing inequalities, is more important than ever. The rate of global population increase is rising but stabilizing, the data show. Just 12 years ago, in 1999, the world population was six billion; and 12 years before that, in 1987, there were five billion people on Earth. The billion-person jump before that took 15 years, from 1959 to 1974, and the jump from three to four billion people took 32 years, from 1927 to 1959. Back in 1804, the world population numbered only one billion. A separate UN report in May foresees a global population of 9.3 billion people in 2050, and more than 10 billion by the end of this century. Much of this increase is expected to come from high fertility countries – 39 in Africa, nine in Asia, six in Oceania and four in Latin America. 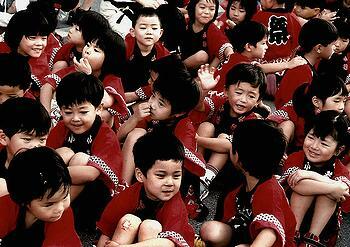 Today, 60 percent of the world population lives in Asia and 15 percent in Africa. But Africa’s population is growing about 2.3 percent a year, a rate more than double that of Asia, with its one percent growth rate. Asia’s population, which is currently 4.2 billion, is expected to peak around the middle of the century, at 5.2 billion in 2052, and then to start a slow decline. People now alive can expect to live longer, the report shows. The average life expectancy has been extended from about 48 years in the early 1950s to about 68 in the first decade of the new century. Infant deaths plunged from about 133 per 1,000 births in the 1950s to 46 per 1,000 in the period from 2005 to 2010. 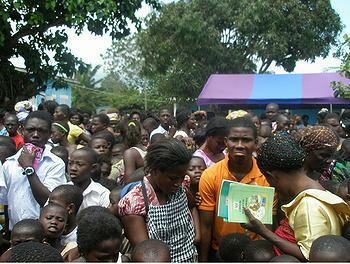 Immunization campaigns have reduced the prevalence of childhood diseases worldwide. 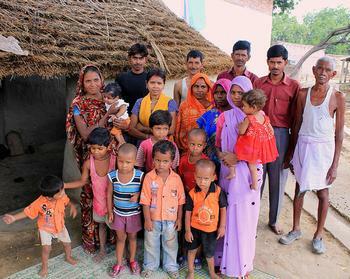 In addition, fertility, the number of children a woman is expected to have, dropped by more than half, from about 6.0 to 2.5, partly because of economic growth and development but also because of greater access by women to education, income-earning opportunities and sexual and reproductive health care, including modern methods of family planning, the report shows.